Absolutely immaculate and stunning quality construction home by Lane on the water in Northbrook Shores. This is a rare opportunity to own an acre of lakefront property in Granger with a private setting, as no one can build across the water--enjoy water and woods and sunsets views! The sellers have maintained this home so well that you will think you are looking at new construction. Updates since home was built include whole house/exterior sound system by Allegra, custom Ayr cabinetry surrounding fireplace, high-end window treatments, and a new well pump and pressure tank. The master on the main is a valued bonus. With its high-volume ceilings and many windows, this home is extremely light and bright. The upper level has a large 5th bedroom that could also be used as a lounge. The walk-out basement provides a 6th bedroom, a full bath, bar, and a large gathering space with fireplace. Enjoy the back yard from the large upper deck or lower patio. Do not miss this chance to have all this home has to offer in Horizon, Discovery, and Penn Schools--you will not be disappointed in person! © 2019 Indiana Regional Multiple Listing Service. 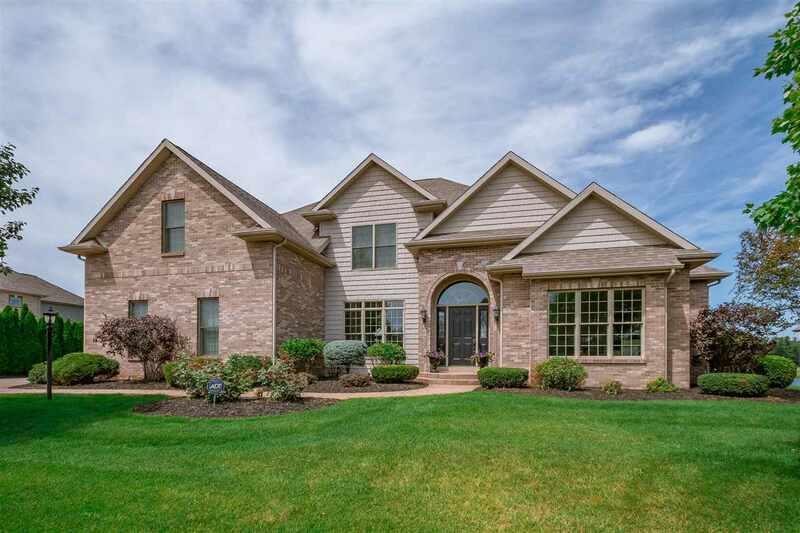 Listing provided by Indiana Regional MLS. IDX information is provided exclusively for consumers' personal, non-commercial use and may not be used for any purpose other than to identify prospective properties consumers may be interested in purchasing. Data is deemed reliable but is not guaranteed accurate by the MLS. Listing information last updated: 2019-04-18 08:53:29.